All Skin Types. Even sensitive skin. Rechargeable. Up to 60 minutes per charge. You have a choice between white and pink. I chose pink. If I chose white, my makeup would stain it like crazy. I chose the darker color for that reason. It comes with a USB charger and a booklet. 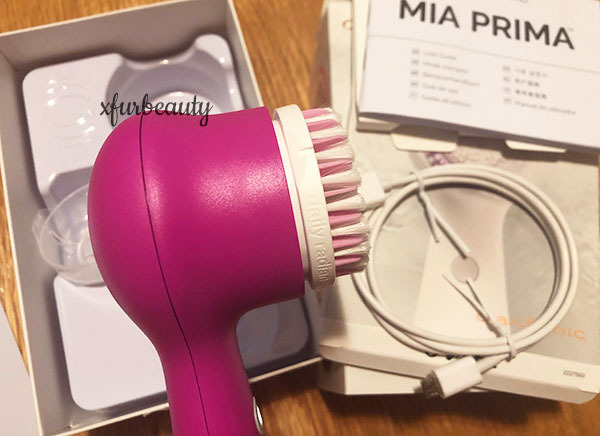 It comes with a Daily Radiance Brush Head (as shown in the very first photo). 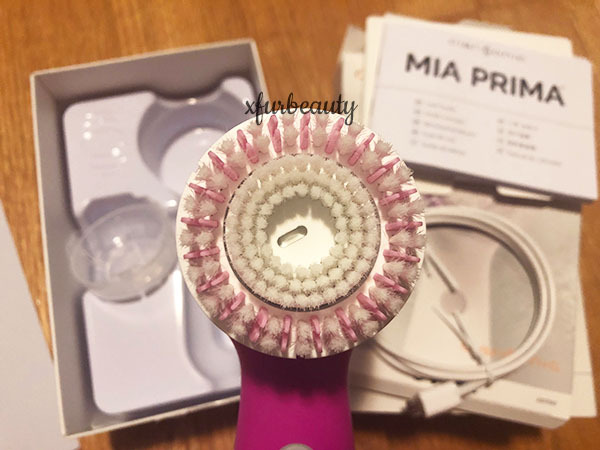 This is what the facial brush looks like sideways. 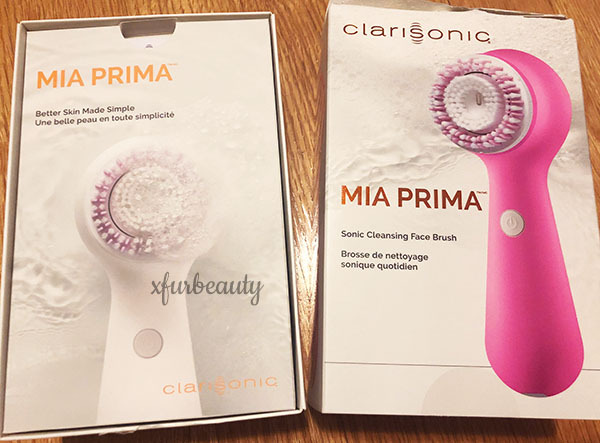 I’ve had the Clarisonic Mia Prima for only 1 week. So far, I really don’t have much to say. 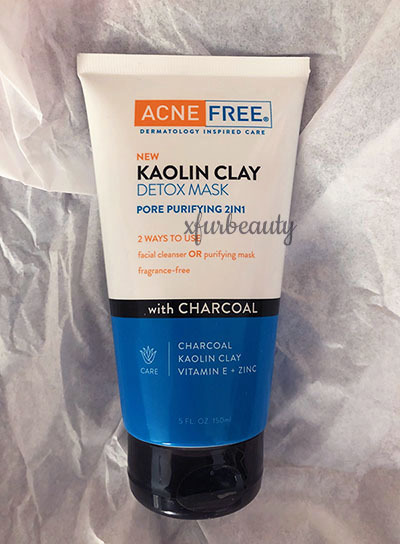 I’ll do a full review when I’m ready to give my thoughts on it. There we have it. 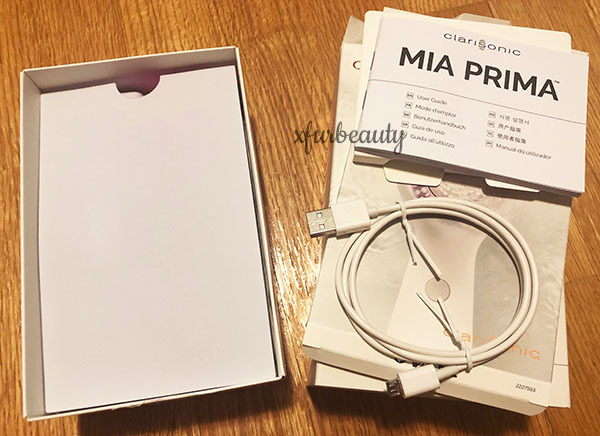 Has anyone used the Clarisonic Mia Prima before? What are your thoughts on it? Is it worth it? I was pretty skeptical about it considering the negative reviews on it. Share your thoughts! Yay or nay?